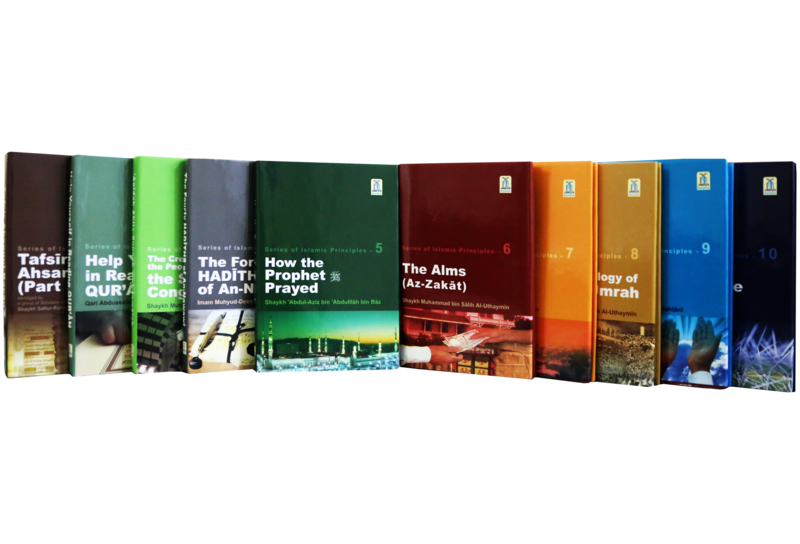 A SERIES ON ISLAMIC PRINCIPLES Darussalam is proud to make available to the English reader these invaluable books relating to the matters of Islamic knowledge. 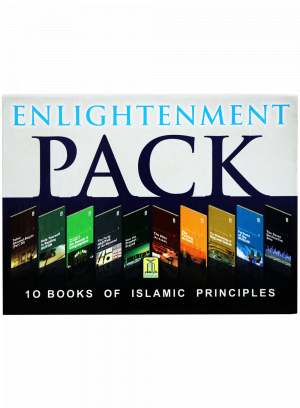 These books contain those matters which every Muslim must have knowledge of. 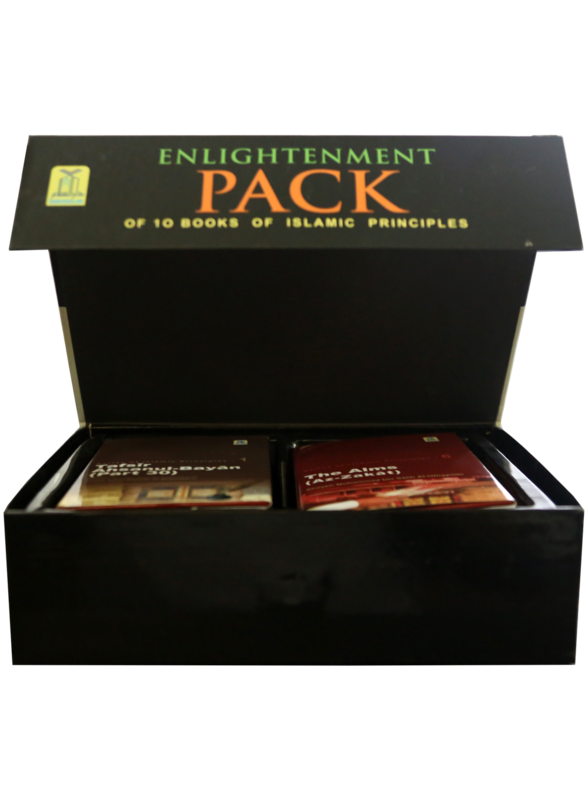 We ask Allah to make it beneficial to the Muslims and a source of light in their quest for Islamic knowledge. 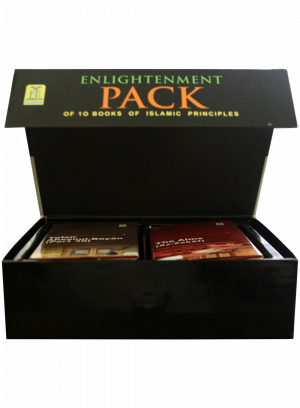 This beautiful gift box contains the following 10 pocket size hardback books: 1) Tafsir Ahsanul-Bayan (Part 30) This book is written in a simple, clear and easy format, touches upon only the vital things that are needed to better understand the verses of Allah. 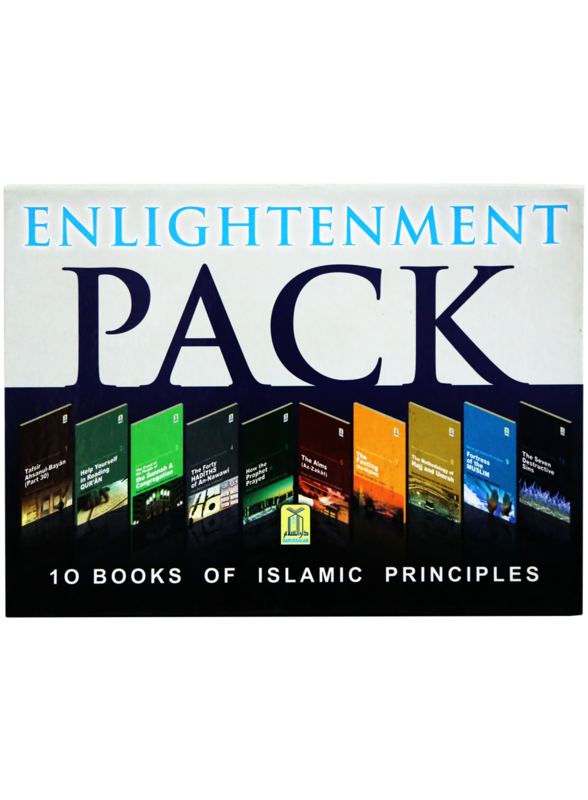 2) Help Yourself in Reading Qur`an 3) The Creed of the People of the Sunnah & Congregation This book by the esteemed Shaykh Muhammad Salih al-`Uthaymin 4) The Forty Hadith of An-Nawawi This book by the author, Imam Muhyud-Deen an-Nawawi, may Allah have mercy upon him 5) How the Prophet (S) Prayed This book by the esteemed Shaykh Abdul-`Aziz ibn Baz, may Allah have mercy upon him 6) The Alms (Az-Zakat) This book by the esteemed Shaykh Muhammad ibn Salih al-`Uthaymin, may Allah have mercy upon him 7) Fasting (As-Siyam) This book, The Fasting, by Shaykh Abdullah ibn Jarullah, may Allah have mercy upon him 8) The Methodology of Hajj and Umrah This book by the esteemed Shaykh Muhammad Salih al-`Uthaymin, may Allah have mercy upon him, discusses the etiquettes and rulings of traveling, the rulings of Hajj and `Umrah, and the important beneficial points that concern every Muslim. 9) Fortress of the Muslim This book by Shaykh Said ibn Wahf al-Qahtani, may Allah keep him from harm, contains the daily and nightly utterances of remembrance of Allah along with an assortment of other important utterances of remembrance which no Muslim can do without. 10) The Seven Destructive Sins This book is a selection taken from the book, The Major Sins by Imam adh-Dhahabi, may Allah have mercy upon him.